This is one of the classic views of this stunning place in the Canadian Rockies, photographed from a charming footbridge over the creek. That creek takes water from the lake all the way down to the Bow River, many hundreds of feet below. 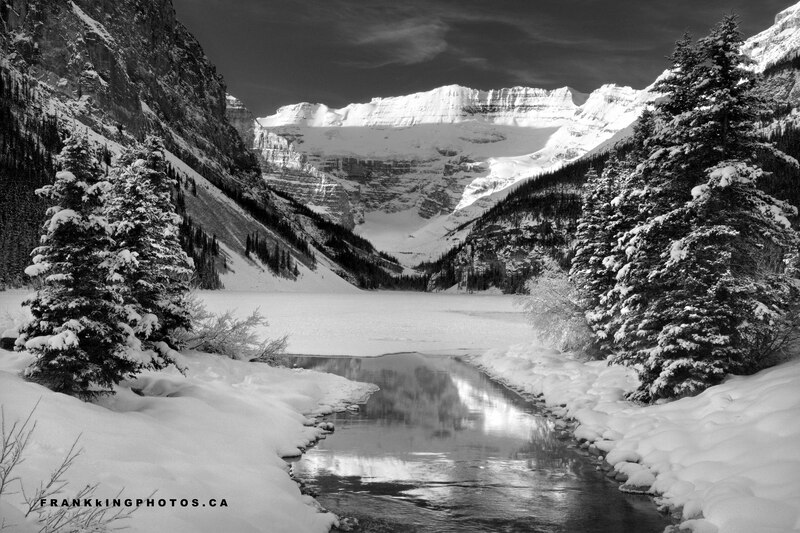 I really like this black-and-white treatment, but you can check out the colour version here: http://bit.ly/LakeLouiseWinter. very nice photo, great place to take photos.